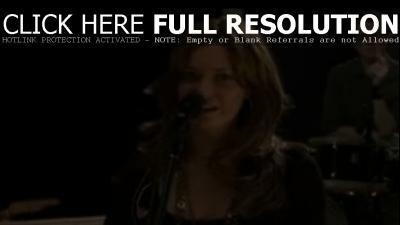 Mandy Moore and her band covered Rihanna’s smash hit ‘Umbrella’ for Pepsi Smash Exclusive Cover Art. August 14, 2007 – Mandy spoke with The New York Daily News about her one-hour special ‘I Am Mandy Moore’, airing tonight at 10:30 on Oxygen, which is part documentary and part concert. The special follows Moore as she promotes her latest album, ‘Wild Hope’, while balancing her film career. “I think I was welcoming of the prospect [of doing the show] because I feel like I’m a pretty personable person and I love meeting people and I love getting the opportunity to be myself,” Moore said. “As much as you try to infuse that in your music and movies, people don’t necessarily have the ideal picture or maybe the most accurate picture of who you are.” Read more. July 14, 2007 – ‘Desperate Housewives’ star James Denton was interviewed by Mandy, who was filling in for Valentine & Lisa Foxx of Star 98.7 FM in Los Angeles on Friday (July 13). James talked about his celebrity cover band Band From TV, which features Hugh Laurie of ‘House’ and Greg Grunberg from ‘Heroes’. The interview audio at akamai.net has since been removed. «Britney Spears Prepping For Surprise VMA Performance?